A friendly, gently curled monofilament filler on a flexible 6.5" by 6.5" base with 4 pressure sens.. The ROP Halo Hair Enhancer from Rene of Paris is a cutting edge design, created so that you can keep..
A handy filler piece that covers the entire top of the head, Sonata includes Memory Cap® construct.. Enhance your hair with the volume and undetectable beauty only this topper can give you. This top-of..
With a Sheer Indulgence™ lace front, monofilament top and 4 strategically placed pressure-sensitiv..
Top Crown by Jon Renau is a short, layered, and loosely waved synthetic top piece that comes softly ..
Top Form by Jon Renau is a long Remy human hair top piece with a double monofilament base. Designe..
Top Full is Jon Renau's largest topper. Considered a 3/4 wig, it provides full top-of-head cover..
Top Level by Jon Renau is a long, layered, and loosely waved synthetic top piece. It can be worn a..
Top Notch by Jon Renau is a mid-length top piece with a double monofilament base. Worn on the cr..
Top Style by Jon Renau is a 100% Remy Human Hair hairpiece that's the newest style, from the Jon Ren..
Top Secret by Jon Renau is a clip-in topper that integrates easily with your own hair at the crown t..
Top Wave is a bold, unfettered topper with an easygoing, wavy style. This clip in topper adds volum..
A clever little softly waved hairpiece for adding volume where needed that attaches easily with two .. 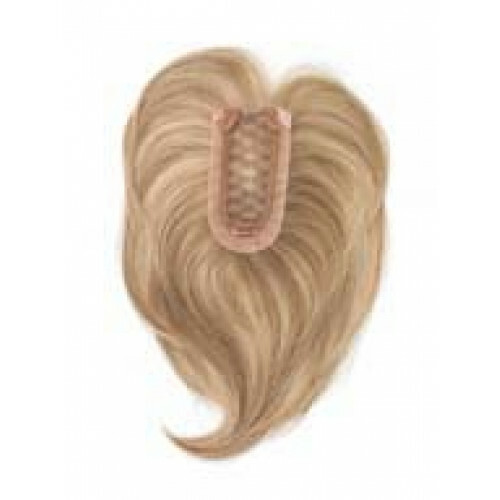 The perfect complement to all headwear, Halo is a comfortable and realistic wig alternative creating..